A perfect match for any race ski with a tip notch, the RSR race skins are made of 100% mohair for maximum glide. These straight-cut skins fold up small and keep the weight down while providing good coverage at 62mm in width the whole 160cm of length. 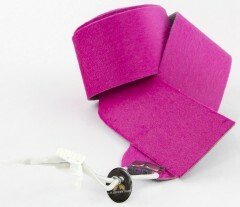 Made by Pomoca, these have had an inline change and are now hot pink. See the second image for a photo. Lifetime whole-fiber anti-glopping treatment alleviates the need for wax. Simple yet effective RSR skin attachment system is a standard bungee cord with a cool stopper. 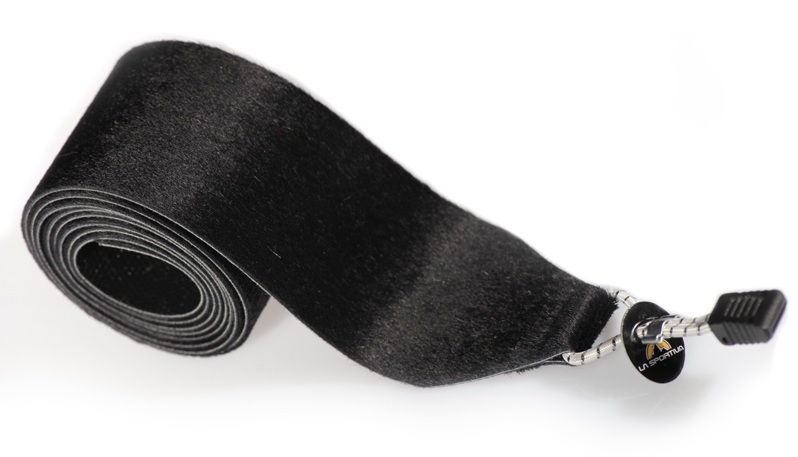 100% waterproof membrane between the mohair and the glue prevents excess water weight and weakening of the glue. Secret sauce makes the glue stick to your skis yet separate without unnecessary effort. Skin bag and user manual included in the box. I love 'em. Super easy to apply with the tip strings. Easiest skins I own to remove, also due to the tip strings. Very fine. 'Lifetime' water repellency isn't quite mastered. They get wet in Spring and Summer skiing when you've used them all winter. Just use skin wax like on any other pair of skins. Love the way I can just fold 'em up. Unlike stiff skins, these are really flexible and non-obtrusive to stuff inside a coat. Not subtle. It's like cardboard versus paper. Mohair doesn't grip in the exact same way on various snow types that nylon skins do, so you may slip a bit until you learn where grip is improved versus decreased. That said, I manage plenty of steep skinning in these things! Also like that I've been able to use these skins on slightly wider skis (71mm waist) than just race skis (64mm waist). No problems there except during icy sidehilling, which is challenging regardless. I blew up one of the tiny black plastic tips somehow. Maybe an alien spacecraft touched down upon it when I wasn't looking. NBD. What is 11 + 8?